As you are reading this, all of us here at Healing Sounds (as well as many more) are getting ready for the 19th Annual Healing Sounds Intensive. In the last newsletter, I wrote about our Day of Toning, which is one of the highlights of the Intensive. This month, I would like to consider the “Merkaba of Sound,” which is another peak experience at the Intensive. 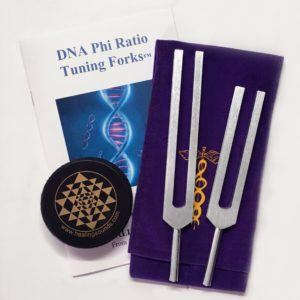 It’s also the title of a recording that was released last fall, as well as one of the focal points of the purpose of the Lemurian Tuning Forks. 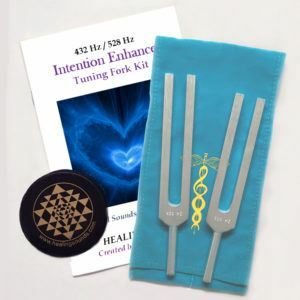 Regarding the Lemurian Tuning Forks as well as the “Merkaba of Sound” recording, we’ll be focusing attention on these tools next month. However, I am too excited and must tell you now that my recording of “Merkaba of Sound” very recently won the 2014 Visionary Award for “Best Frequency & Sound Healing Music”. It is quite an honor and one I am most grateful for. This CD was chosen from many other submissions by different retailers and stores. I am always so appreciative when something that resonates so deeply within me also resonates with others. We’ll talk more about this recording and other tools for creating a Merkaba of Sound. Now, on to the subject of the Merkaba of Sound as will take place at the Healing Sounds Intensive. As you may know that the word “Merkaba” has a number of meanings. Depending upon your source, the words is either Egyptian or Hebrew in origin. In Egyptian, the word “Mer-ka-ba” translates as something similar to the concept of “Body-Mind-Spirit”. “Mer” refers to a specific light manifested by the one God. It was often perceived of as being two counter-rotating spinning fields of light. “Ka” refers to spirit of an individual person. “Ba” refers to the spirit’s perception of reality. In Hebrew, it is more frequently spelled as “merkabah”, and it is usually translated as meaning a chariot. Most specifically, it is used by Ezekiel when he describes an object he encounters that is composed of a combination of celestial beings as well as interfacing wheels. Many perceive that this merkaba was actually some sort of disc shaped UFO. In particular, the word merkabah may be understood as a device capable of creating an interdimensional wheel. In the Hebrew tradition, the most popular way of creating this interdimensional field was through the repetitive chanting of the Tetragrammaton—the Divine Name—a “secret” Kaballastic sound composed of the letters Yod, Hey, Vav, Hey. These four letters was said to create a powerful energetic chariot through which one could travel The Divine Name was said to be the personal name of God revealed to Moses on Mt. Sinai. It was a name that literally became banned in the Bible and became lost. Working with permutations of these four letters was said to create a powerful energetic chariot through which one could travel. Within the last two decades, utilizing the Egyptian interpretation, the word “merkaba” has come to be understood as the geometric form of a star tetrahedron –specifically, a star tetrahedron composed of two counter rotating field that spin at the ratio of phi (1.618). Most frequenctly, the visualization of a phi oriented counter-rotating star tetrahedron has became synonymous with the term merkaba. At the Healing Sounds Intensive, we utilize at least two different methods of creating interdimension fields. One in particular, we call the “Merkaba of Sound”, although as noted, there are numerous ways of created such fields using sound. With the one named “Merkaba of Sound”, we utilize a special combination of frequencies, ratios, vowels, colors, harmonics and visualizations in order to create a gigantic spinning diamond vehicle that begins in the center of our crystal grid and expands outward, allowing us to travel to different levels of consciousness. This inter-dimensional vehicle really is quite astounding. It seems that the time-space continuum around the area becomes affected by this merkaba, as do the gravitational fields. All participants have the opportunity of walking around this vehicle and experiencing it before going in to meditation in order to use the merkaba as a instrument to travel to different levels of being in order to heal our planet, our multiverse and ourselves, as well as activating higher levels of consciousness. Then, “like a diamond in the sky”, the merkaba joins others that have been created, resonating as a means to accelerate consciousness, compassion and kindness in the different multi-verses. As noted, it is rather astounding. Another modality of creating a merkaba that we at the Intensive experience is the Intonation of the Divine Name, which is another culmination of the teaching that manifests. 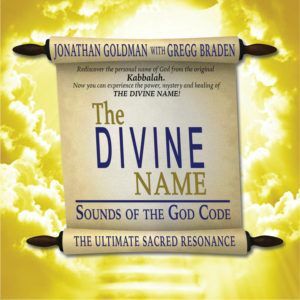 My book, THE DIVINE NAME, explores and teaches how the four Hebrew letters that make up this name are actually vowels that create a universal sound which can be experienced by anyone, regardless of their spiritual belief system. Because it the Divine Name is based upon vowel sounds and their associated harmonics, everyone who learns to intone this sacred sound experiences the energy go from their crown center to their root center and then back to the crown—spirit going into matter and then back to spirit. It is perhaps my favorite of all the extraordinary techniques I teach and something which is life changing for anyone who experiences it. I share these two experiences from the Healing Sounds Intensive with you, knowing that we invite each and every one reading this newsletter to join us on an etheric level to assist both personal and planetary healing. Next month, in “Sound Streams”, I share with you some ways that you can take utilize certain tools we have manifested that may assist you in resonating with the energy of the Merkaba of Sound.